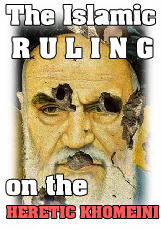 Qasem the Neo-Safavid Enemy of the Muslims seems to be awaiting a second stroke after his apparent first stroke (‘Asifah al-Hazm’/Operation Decisive Storm). 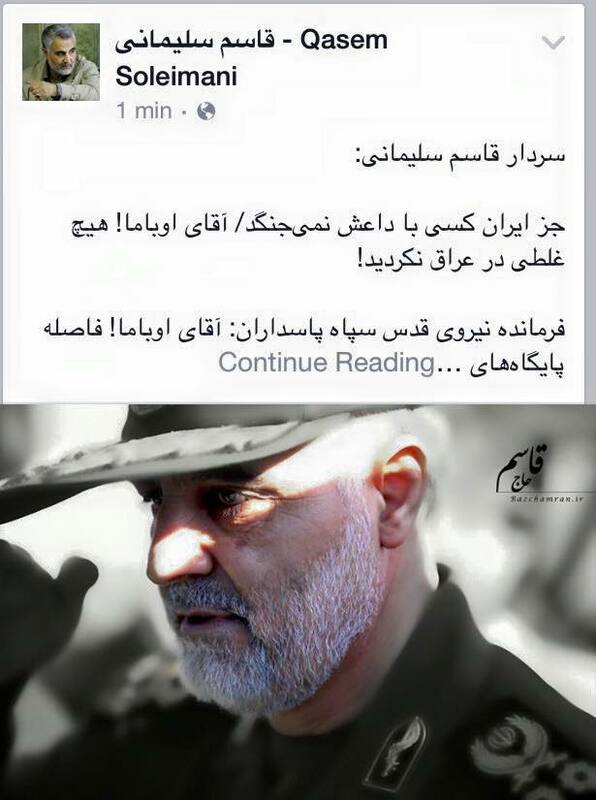 This evil faced Rafidi seems to have forgotten that the American installed and Iranian approved Iraqi Shia regime – including its highest man of authority – just a few weeks ago asked for American Air strike support in order to retake Tikrit (American as usual did respond to the plea of the Shia of Imam Barack Hussein Obama). ‘Ya Hussein Obama madad (help)’ and ‘death to America’ this is the reality of the Iranian Safavid Rafidi circus and their so called enmity towards the ‘great Satan’.